The weather is starting to get nice. That's Spring for you! 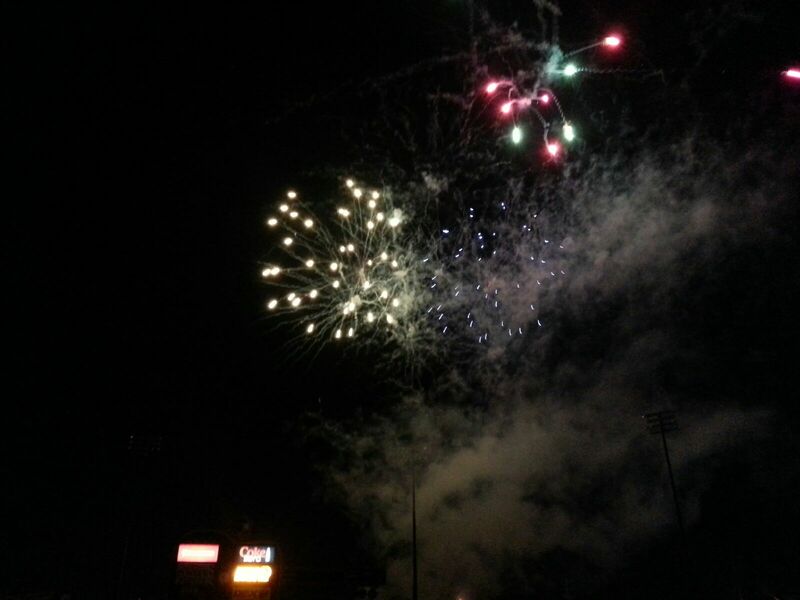 Last weekend, we went to our first baseball game of the year - the Sounds won, beating the Omaha Stormchasers 11-5. Fireworks included. I freaking love Nashville! But we also did something that is going to make my Spring and Summer just so much better. We finally replaced our grill. 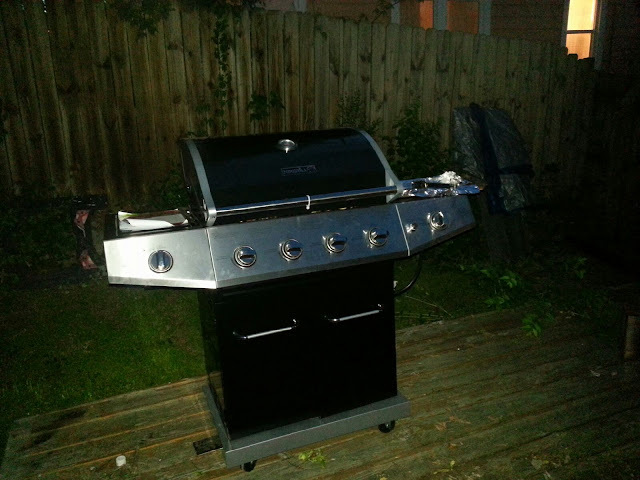 So, you may recall that in June 2010, we lost our propane grill to a freak tank accident. Hell, I didn't remember it was 2010 until I looked it up. I thought it was just two years ago. So, go ahead; refresh yourself. Anyway, we still had our Weber charcoal grill, but let's be honest - they're not the fastest way to get dinner on the table (well we don't actually use the table for dinner, but you know...). But here's the thing. I need to get back on the diet wagon, and let's be honest - grilling a quick dinner is as fast as takeout, and better for us. So. I used my Home Depot gift card from all my AMEX points. See, all that travel last year paid off. Matt kicked in the rest, and now, we're cooking! With gas! I freaking love our grill. I've used it for about five meals already. And the rest have been leftovers from the previous night's grill. 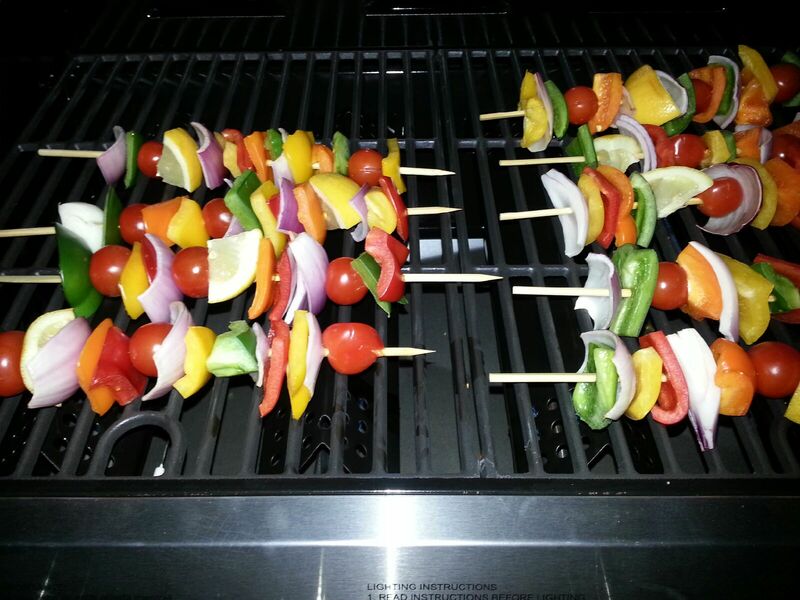 Food tastes better on a stick. Even veggies. And that, as my friend Martha would say, is a good thing.